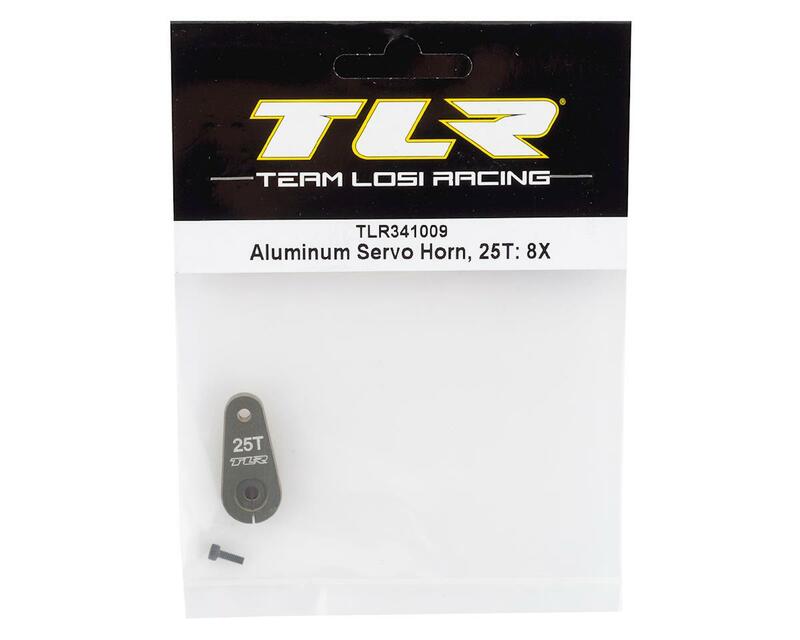 This is an optional Team Losi Racing 8IGHT-X Aluminum Servo Horn. This servo horn is compatible with servos that feature a 25 tooth spline; such as ProTek R/C, Savox and Futaba. 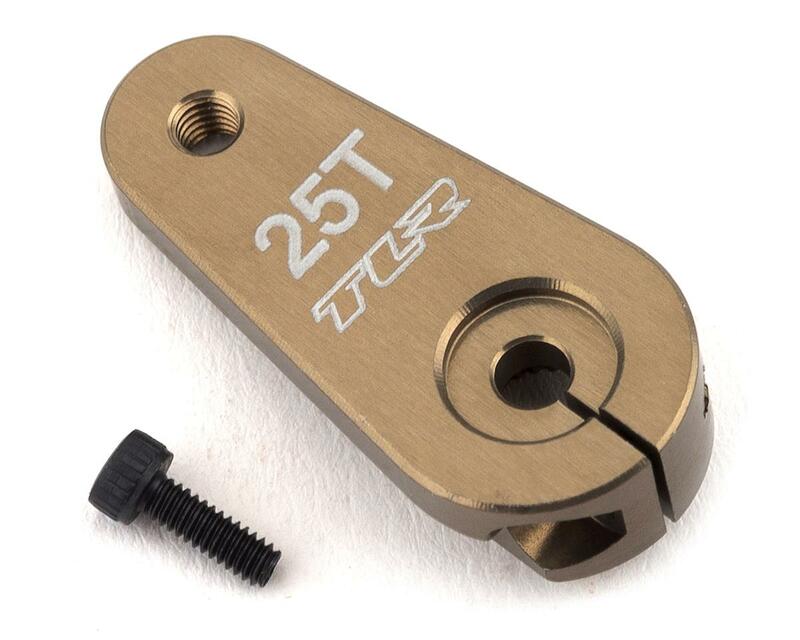 This horn is exclusively used for the steering servo features a clamping design for the upmost in holding power.